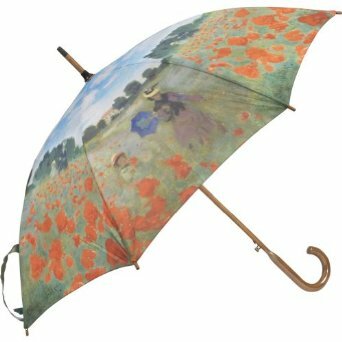 It's August, which means it's time for summer downpours (and the beginning of hurricane season), which means it's time for umbrella wars! 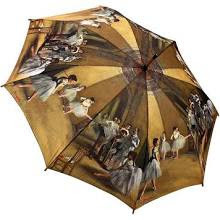 Whenever it rains in New York City the streets turn into a sea of pointy edged umbrellas at just the perfect height to either poke you in the eye or knock you in the head. 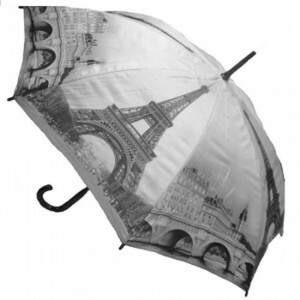 On a crowded street, the battle of the umbrellas can be unto death (or at least feel like it). 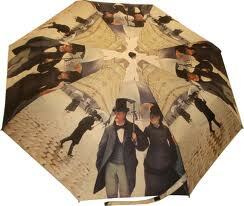 And on top of that, the majority of the umbrellas out there are depressingly dark and sombre! Talk about morose. 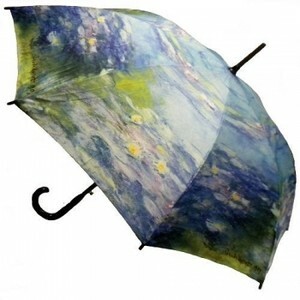 What you really need on a day weighed down with clouds and water dripping down your neck is an umbrella that brings some cheer into the world while it protects you (and battles the other brollies out there). I usually carry a bright red one (such a happy color!). And how can you forget something so pretty? 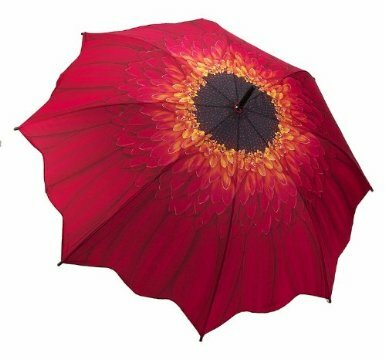 Isn't this brilliant "Red Daisy" umbrella perfect for cheering up a grey day? 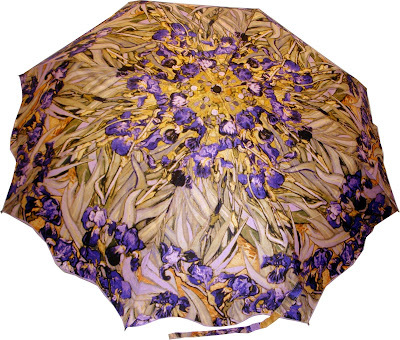 I first came upon Galleria's umbrellas while searching for a gift for the hosts of my lovely bridal shower (I might start a series of wedding-related posts - watch out for those). They were showering me with love and gifts, and I wanted to give them a token of appreciation to show them how much it meant to me. These were great because they were pretty and useful (useful gifts are the best). Bonus: they're perfectly punny for a bridal shower! Plus they come in lovely themes. Wow! I would love to get such a beautiful gift! Haha is that a hint? If you sneakily tell me which is your favorite you might get it one day!